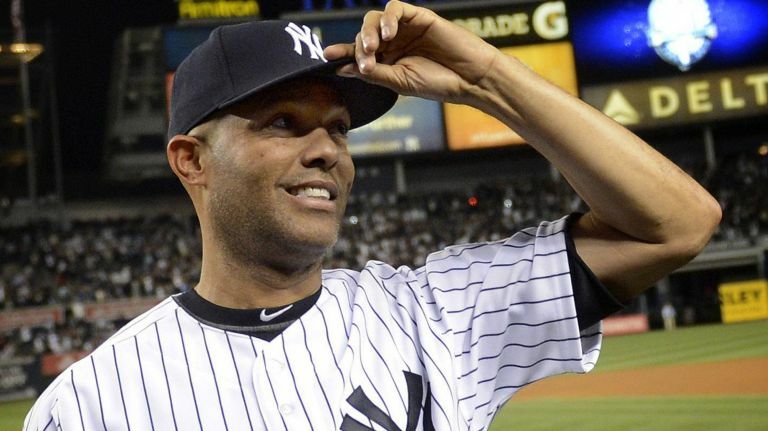 Mariano Rivera is the first player in the history of major league baseball to be elected to the Baseball Hall of Fame by a unanimous vote. Rivera is considered the greatest closer of all time. He was the relief pitcher who came on in the last inning and “closed the door” on the other team with his devastating cut fastball. Even though the opposing players knew what he was going to throw, they could rarely get a hit off of him. Mariano Rivera is a man of deep faith. He gives God the credit for giving him the cut fastball that enabled him to be so successful for so many years. Rivera also gives glory to Jesus as his Savior. Let’s all strive to have the kind of faith that is thankful to God, even in our failures. This entry was posted in Christian Living, Communion Meditations, Leadership, Sports and tagged failure, faith, God works for the good, Mariano Rivera, Romans 8:28, thanksgiving. Bookmark the permalink. Wow Tom. It just continues to amaze me how different things in our daily routine just sends messages from God. I just finished a Bible study by Priscilla Shirer “He Speaks To Me”. We just talked about how Gods plans are bigger than our plans and to be submissive to His timing. The part about praising God for losing the game and still having a friend just made His timing so much more clear to me. Thank you for your Jesustrek. I love reading them. Thanks for the encouragement, Linda. God Bless!